Get your business growing with Financing! Behalf is a smart new opportunity for small and medium sized businesses to get the credit they need. Credit you can use right here, right now. Just use the simple BeQuick widget below and in two quick clicks you’ll find out how much money we can extend you. Behalf will pay Via Trading, and you will pay Behalf back on a schedule you set. It’s as simple as that! Wondering about the rates? They’re personalized for every user. 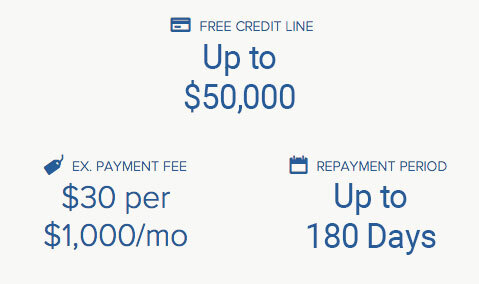 So BeQuick and find out how much credit you can get. Get funds today with up to 180 days to repay! Get instant free credit. Behalf pays your vendor. Pay Behalf on your terms. Check the rest of our partners in our Partners Page. This not only shows who our partners are (including financing partners, flea markets, e-commerce tools, drop shipping, etc. ), but also learn how to partner with Via Trading and which benefits you can get from doing so. Customers in this industry typically have a need for small business solutions like financing, product sourcing, point of sale solutions, small business education, retail display solutions, credit card processing and more. It’s time to take more control of your cash flow. Get terms on everything you buy for your business with Behalf. Complete this form to get an instant estimate on how much credit Behalf can extend. Contact us for custom underwriting at AM@behalf.com.